Lincad has been selected to appear in the 2015/16 edition of The Parliamentary Review. Established by former minister The Rt Hon David Curry shortly after the 2010 general election, The Parliamentary Review’s September release has become a key fixture in the political calendar. 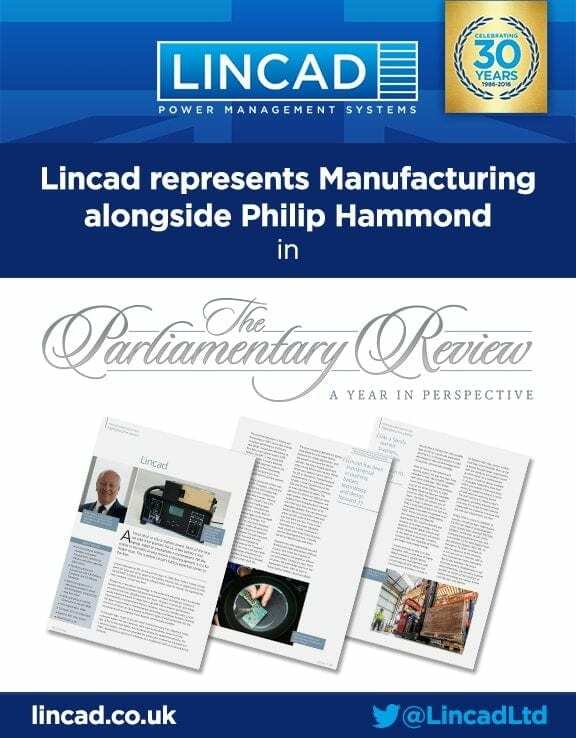 Lincad features alongside The Chancellor of the Exchequer, The Rt Hon Philip Hammond, and a small number of outstanding organisations in the Electronic Manufacturing edition. The main aim of The Review is to showcase best practice as a learning tool to the public and private sector, with this edition aimed particularly at leading policymakers and executives within Manufacturing. Alongside pieces from the selected representatives and an introduction from the Chancellor, it contains a look back at the year in Westminster and Manufacturing, with the political commentary written by Mark D’Arcy (BBC’s Parliamentary Correspondent). The document is sent out to tens of thousands of leading policymakers. The articles in The Review act as both a blueprint for success and a template for reform. The Parliamentary Review’s publication is marked by gala events at the House of Commons on the 19th and 23rd September.